Oh! November already has come! Time goes by surprisingly fast! It is my house wine. My standard taste is this. I felt pure fruits, nice citrus and fine minerals. 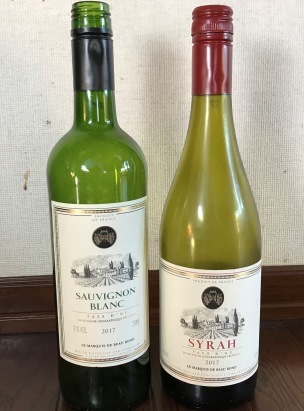 It is a very clean style white wine. I felt concentrated fruits, nice acidity and fine tannins. The style is a typical fine Languedoc red.